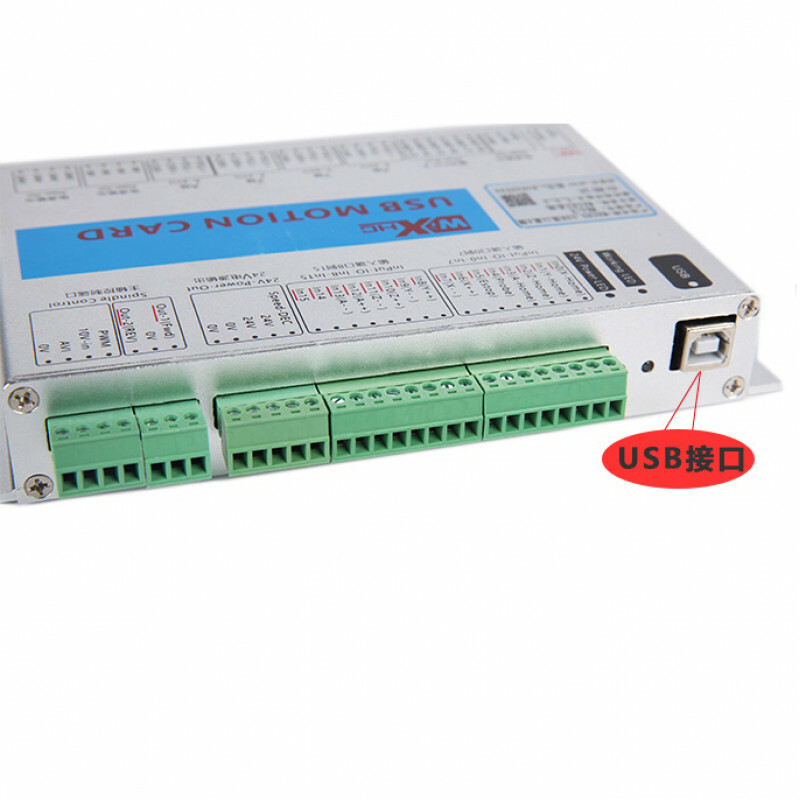 - Support save data when power off. - Connection,and working status by flashing. 1.Standard usb device and work at all windows with usb hot plug. 2.The card state is monitored. 3.Support 6 axis to motion at the same time. 4.Step Pulse frequncy Up to 2000khz，support servo and step motor driver. - First,install Mach3 software to your PC. - Second,copy your driver into Mach3.Check readme file in the CD. - Check our wiring for reference,connect our card to your machine correctly. - Connect your PC to our card by using network cable. - After these steps,you can open your Mach3 software for operating. Please take a look at Mach3 software parameters setting,steps per and so on in the printed manual of our packing box for reference. XHC-MK3: MACH3 3—axis control card. XHC-Mk4: MACH3 4-axis control card. ..
USB 2MHz Mach4 CNC 6 Axis Motion Control Card Breakout Board MK6-M4for Mach.. Note: we don't offer Mach4 software. 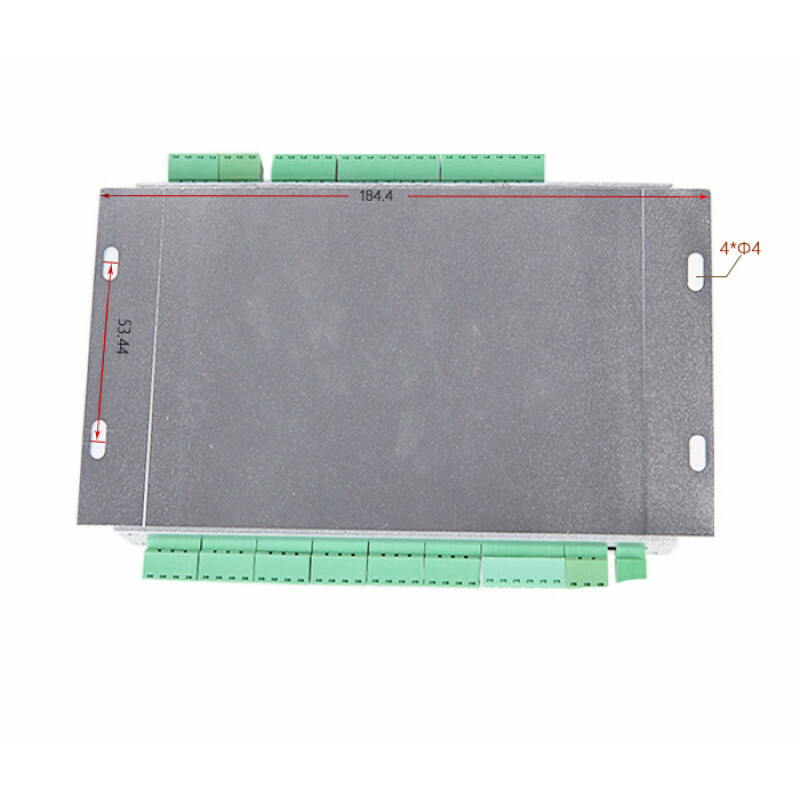 If you need it, you could purchase through mach software's site..
MKX-IV manualMKX-V manual Applicable systemMach3Mach3Support axis number3/4/63/4/6Interfa..
MK4-ET 4 Axis cnc controller board ethernet Mach3 cnc motion controller card 2000KHZProduct de..
MK3-ET 3 Axis cnc controller board ethernet Mach3 cnc motion controller card 2000KHZProduct de..
MK6-ET 4 Axis cnc controller board ethernet Mach3 cnc motion controller card 2000KHZProduct de..
XHC 4AXIS Mach3 newest cnc control card 2MHZ and Wireless cnc remote WHB04B-4 Application.. 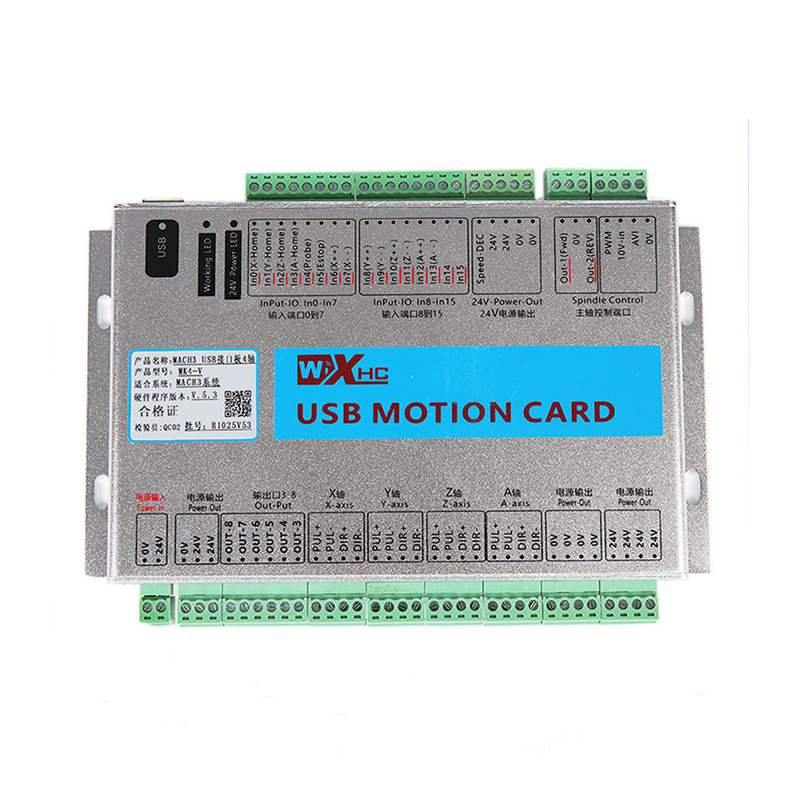 Application software: MACH3Application Control card application industry :CNC cutting machine.CNC ro..
XHC 6 AXIS Mach3 USB control card and Wireless mpg cnc remote WHB04B-6Application softwa..
CNC MACH3 Wireless Electronic Handwheel 4/6 Axis USB Handle Manual Controller MPG Feature..